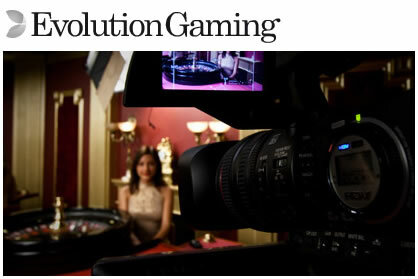 Evolution Gaming is a software company that provides live casino software. Evolution gaming is one of the most unique of all the live gaming software companies. They use a different platform than most in that they actually have their own studios with live dealers. The company was launched in 2006 and has been determined to make their platform one of the most unique in online live gaming. Who Is Evolution Gaming (Live Casino Software)? Many of the other live gaming companies use feeds from regular casinos, but Evolution Gaming is different in the fact that the only people who can play on their tables are the members of the online casinos that subscribe to this particular platform. They are constantly expanding both their games and broadcasts to meet the needs of their clients as this niche of online gaming grows more popular every day. How Do I Contact Evolution Gaming? What Live Games Do They Currently Offer? Live Baccarat - this game has long been the favorite of Asian players and continues to grow in popularity as the Internet has allowed people that would not normally have access to this \"high roller\" game. Their version of this live game is even more exciting in that the option is available to see other players bets in real time. It is truly one of the most unique Baccarat games available on any platform. Live Blackjack - RNG Blackjack can be a bit of a money burner. The game is fast paced and the online player will often have their chip stack deleted before they ever know what happened to them. The live version that is offered by Evolution Gaming is paced as it would be in a real casino and allows a much more enjoyable experience, win or lose. Live Roulette - this has easily become the most popular game in live online gambling. A devoted croupier spins the wheel and calls the numbers just as if the player were at their favorite casino. The player is responsible for getting their bets in before the croupier waves the betting off and then waits anxiously as the ball spins and eventually falls into what they hope will be their winning numbers.